Some storefronts may not have the electrical infrastructure, which can easily accommodate digital signage. In these situations, the Essex Printing & Sign Company offers their clients a non-lit sign that will still look good with a hint of sophistication. We ensure 100% customer satisfaction and take time to understand the requirements of our clients. We add thick logos, to make your business sign look professional. 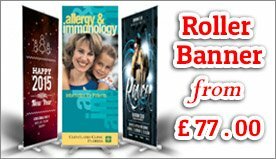 We, as the leading Sign Company Southend on sea have options for such type of signage, which are virtually endless. Our experts consult with clients, to help them decide the style and design that will work with their brand and their budget. Non -illuminated signs come with or without a framework. The benefits of these signs, is that the graphics can be changed easily. It is made from varieties of different materials, and provides great exposure to the clients’ business. The signs are an affordable option for advertising your business, especially in areas where people go more often. These are perfect for shopping centres, industrial units, hotels, and boutique shops. 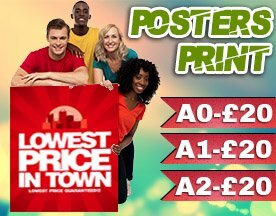 Essex ranks as the best Sign Company Southend on sea, and offer these signs that serves as the main branding device and promotional activity for the clients business. The designs, which the company offers are wide and the way they plan the layout is appealing to the eye of their fellow customers. By using spotlights to highlight the non-illuminated signs are great for enhancing the entire surrounding. We can change lighting for these effects and it will serve as the best crowd puller to increase the popularity and profit of the clients’ business. They also have non-illuminating 3D signs, which are popular and is one of the best options to help the client display their business logo or name. Our clients will be happy with the products we offer. With affordable and competitive pricing, we make sure customers enjoy complete satisfaction. So, if you dream to take your venture to the top, make sure you get in touch with us!